A new study of over 800 migrants in Bavaria shows a diversity of opinions and education among asylum seekers of different origins but a troubling trend of anti-Semitism and even some who see no problems with religious violence. The study of migrants from various countries was conducted by the Hanns Seidel Foundation in 2016 but has only just been released this week. The researchers spoke with 800 migrants in asylum homes across Bavaria and found large differences in education by country but found their attitudes toward women and Jews problematic, Oberbayerische Volksblatt reports. The researchers found that on the subject of education the migrants varied greatly depending on which country they had come from. Syrians tend to be the most educated with Afghan nationals being the least. Among the Afghan migrants around 17 percent had never attended school and 12 percent were totally illiterate. 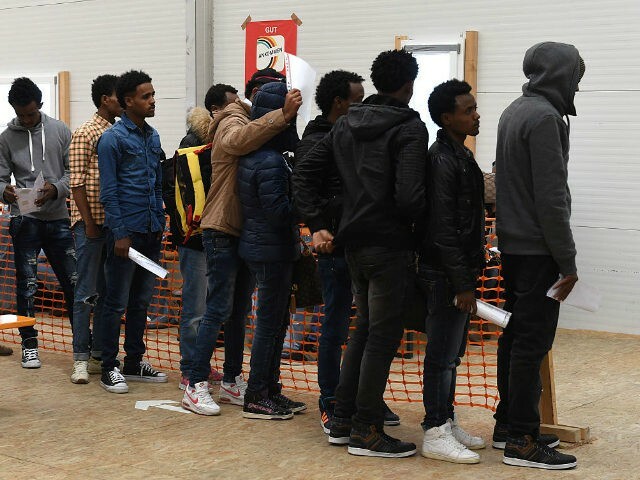 The migrant’s attitudes on women were also examined and around 60 percent of those from the African country of Eritrea said that women should be housewives rather than pursue a career. African migrants, in general, were patriarchal with around a quarter saying that women shouldn’t be allowed to choose their own husbands. “While respondents from Eritrea and Afghanistan (male, young, primarily single) feel themselves to be very religious, religion plays a rather subordinate role for Syrians and Iraqis,” the study said. Among the Eritreans, who are mostly Christian, the vast majority felt that religious law took precedent over German law with around 20 percent of Iraqis and Syrians agreeing. The biggest trend among the Muslim migrants was a strain of anti-Semitism with over half believing that “Jews in the world have too much influence.” 2.7 percent of the asylum seekers also said that religious violence was justified. Anti-Semitism has become a growing trend in Germany due to mass migration. Many Jews in Germany say they fear anti-Semitism from Muslims and specifically from asylum seekers who largely come from Muslim countries. In one case at a school in Berlin, a Jewish child was ruthlessly bullied by Muslim classmates forcing him to leave the school entirely. Only the Syrian migrants showed any desire to return to their country with 20 percent saying they wanted to go back. Most migrants said they wanted to remain in Germany forever with 83 percent of Afghans and 72 percent of Iraqis saying they would never want to leave. A similar survey was conducted in North African countries last year and showed that many migrants in those countries viewed their religion as more important than secular laws and many did not condemn religious extremism at all.